On an early Sunday in October, Cargo Cantina’s staff caught the train up to London for their first official team trip. 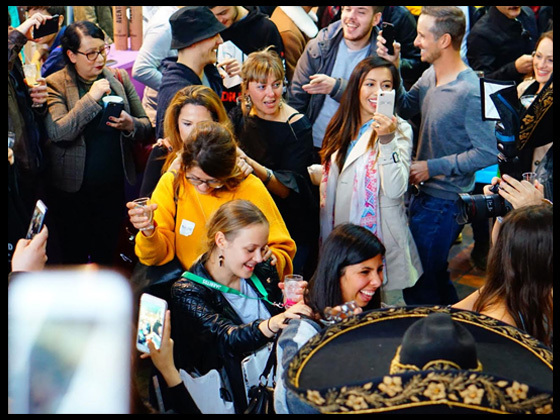 They went to the annual Tequila Festival in Brick Lane’s ultra hip Old Truman Brewery, and they had a hoot! 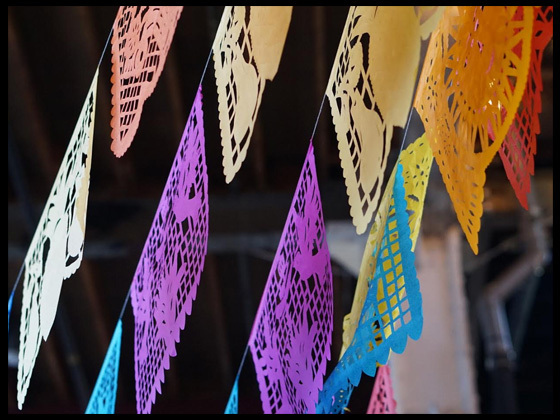 Celebrating all things Mexican, this vibrant festival offers more tequila, mezcal, tacos and Mexican cervezas than you can shake a pinãta at. 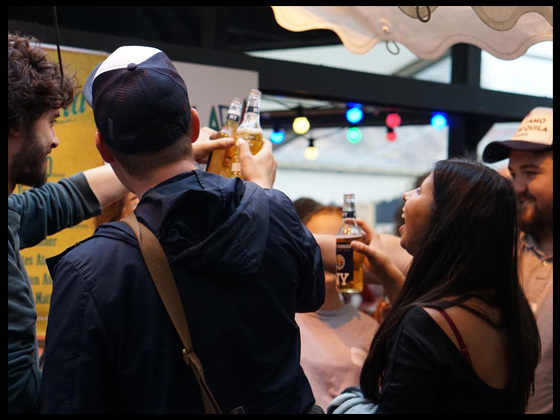 The Cantina crew sampled the delights of Temper London’s goat and beef fat tacos, cooked over an open grill in the middle of the festival courtyard, and worked their way around the countless tequila and mezcal suppliers, all eager to share generous tasters of their produce with the team! 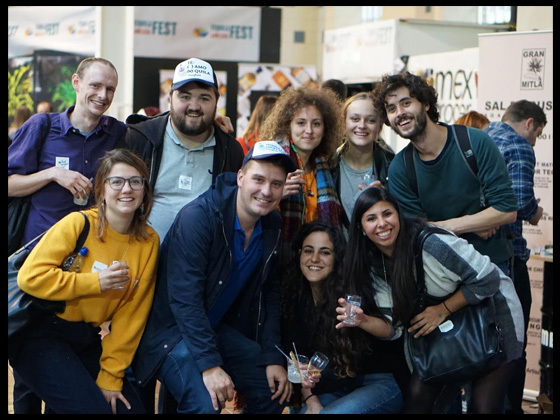 Cantina manager Sara Sanna, along with Cantina FOH members Jess, Agata and Bravas chef Ashley took to the dancefloor with the traditional Aztec dancers and the mariachi who were performing at the festival, and got the entire festival dancing! They finished off their night with margaritas and more tacos at La Bodega Negra, a secret restaurant tucked behind a shop in Soho. They plan to bring their favourite drink of the day – mezcal marca negra – to the Cantina bar menu soon! Keep your eyes peeled.